DDC's Rugged Avionics Interface Computer (AIC) provides a flexible and scalable platform that supports a wide range of data network communications. 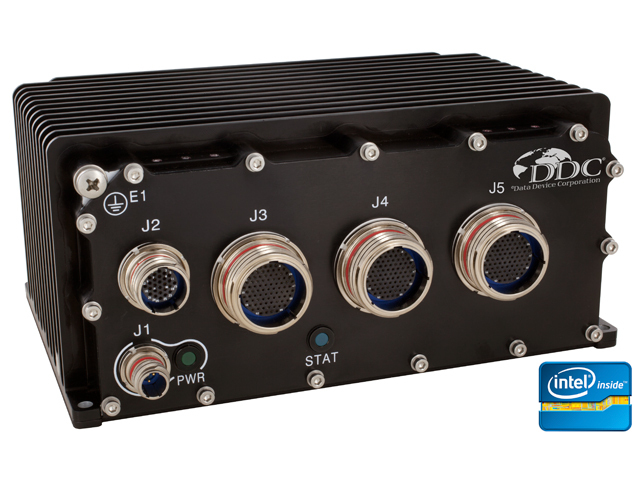 The system combines best-in-class performance from Intels embedded computing architecture and the I/O flexibility of DDC's High Density Multi-Protocol XMC module, to deliver unmatched avionics connectivity in a small form factor, deployable, rugged enclosure. 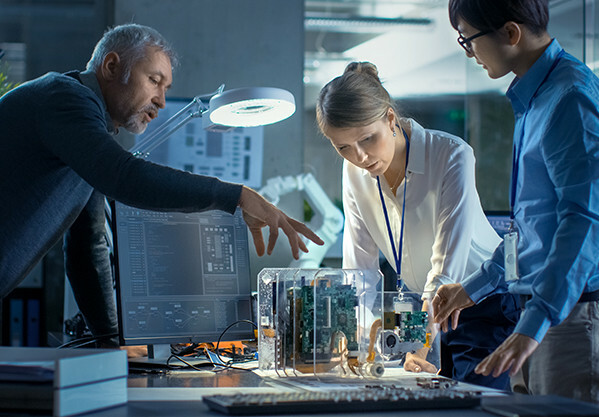 Embedded Intel® Processor Provides Best-in-Class Computing, Programming and Flexibility, Enabling the AIC to Serve High Density Protocol Bridging and Application Needs. Qualified for Rugged Air and Ground Environments. Scalable Architecture and DDC's Portfolio of High Density XMC and Mini-PCIe Modules Enables System Customization to Support a Wide Range of Applications. Field-Proven High TRL Hardware and Software Solution Saves Development Time and Costs.